I saw this advert in the Huddersfield Examiner and it seems like a bit of a bargain to me. 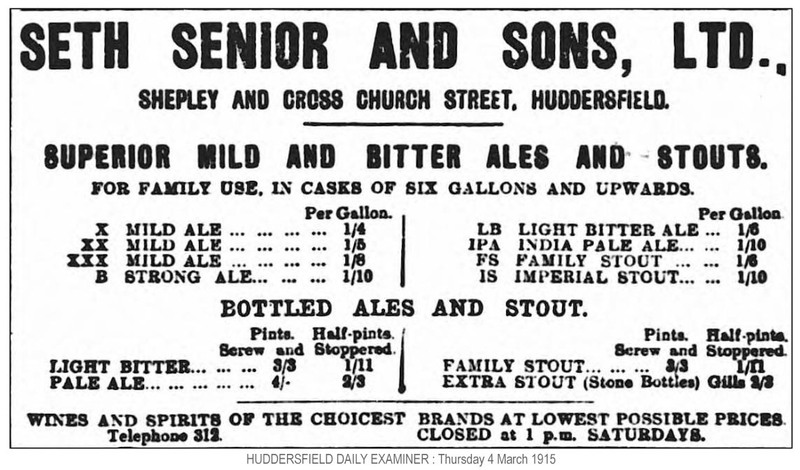 Whilst the bottled Pale Ale seems to be selling at 4/- a pint (that is four shillings or 20p to those who are too young to be reading this blog), the cask conditioned India Pale Ale is selling at 1/10 per gallon (that is one shilling and ten pence or …..err ….. well not very much). Now I have just wasted a half hour of my time this evening (that is 30 minutes in new time) taking a load of beer bottles to the bottle bank. I would have been far better buying a few gallon of Seth Senior’s IPA and decanting it into my empty bottles. What a shame that the newspaper is a little out of date. 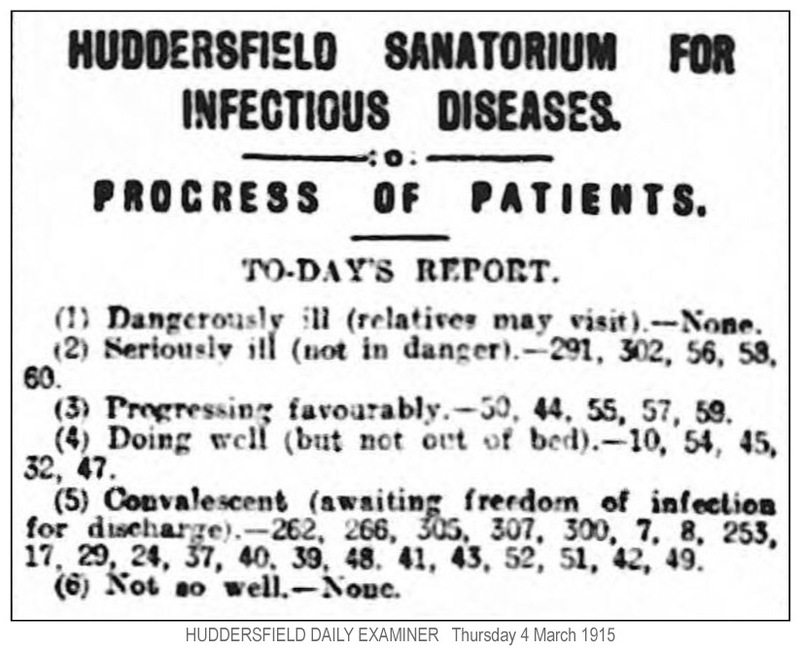 From the same old newspaper I find a short article detailing the progress of patients in the Huddersfield Sanatorium For Infectious Diseases. Back in the days before telephones were widespread and when private cars were a rarity, it was a problem checking on the progress of a relative confined to the Fever Hospital. The printing of brief prognoses followed by a list of individual patient numbers was quite a clever way of informing those who needed to know whilst preserving an element of patient confidentiality. This system of bulletins published in local newspapers continued well into the second half of the twentieth century, I can recall seeing such lists in the papers when I was young (which was a long time ago).